Most people enjoy sending and receiving a Halloween Card. 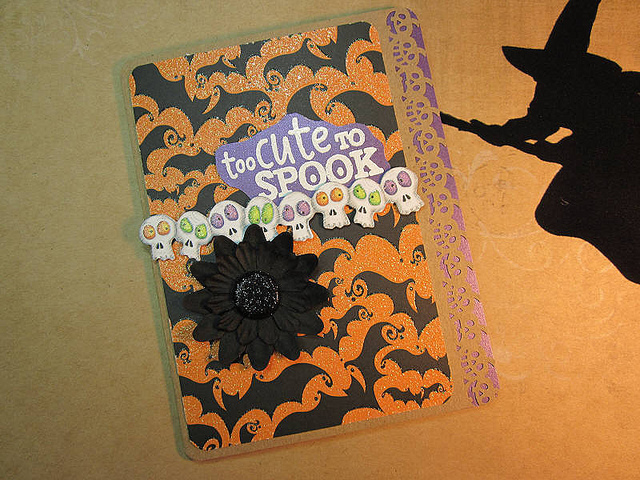 Whether you send Halloween Cards online or through the mail, it’s always nice to personalize them for the occasion. It provides a sense of thoughtfulness and allows you to convey messages you may otherwise be hesitant to convey in person. In the true spirit of Halloween, here are some truly scary greetings you can consider when you purchase your Halloween Cards online this year. On this Halloween, there is something you should know. Over the next 9 months, my belly’s going to grow! Happy Halloween DADDY. Honey, remember last year when you dressed up like a ghost and I told you how cute you looked? Well, I found someone else who looks even cuter under the sheets. Take Care! (To All Employees): Dear witches and ghosts and goblins and freaks, you won’t have a job in the next coming weeks. We’ll be closing at the next full moon. Dear Mom and Dad, Remember how much I use to love to play the game “Witches and Warlocks”? Turns out I would have loved “Warlocks and Warlocks” even more. Sweetheart, Remember how I called my mother a witch and you defended her? Well, she is moving in with us next week, and she’ll be glad to know you are on her side. Dear Sweetheart, I was going through your cellphone, and we need to talk about witch Esmeralda, witch Stacy, witch Michelle and some witch named Janis. The witches of Eastwick, I presume? Sweetheart, before you cut up the sheets for a Halloween costume, we may need them a bit longer since I lost my job. Dear Sweetheart, I have always loved the mystery, mystique and magic that comes with Halloween. It seems that our car may have magically disappeared this year. Remember how I said my ex-girlfriend said she was going to kill me? Turns out she wasn’t joking, and we need to go on the run for awhile. Dear Mom and Dad, Good news! You’re gonna be grandparents. The bad news is the daddy is some nameless ghost who just disappeared.